BACON AND HAM SMOKED TO ORDER. 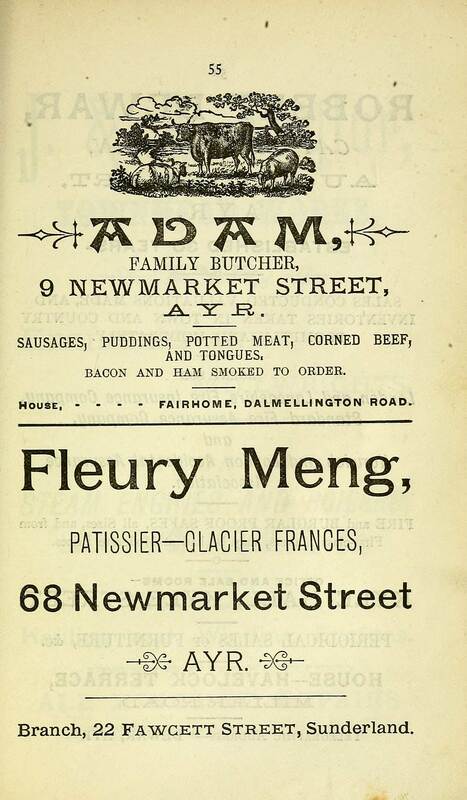 Branch, 22 Fawcett Street, Sunderland. 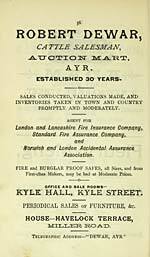 Ayr Post Office General and Trades' Directory for Ayr, Newton, and Wallacetown. 1894-95. 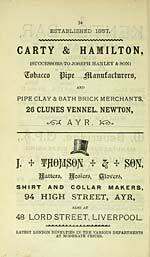 Ayr: Printed by the Ayrshire Post, 1895.